That’s pretty close. The decision is, I’m going to keep the summary in as it makes an excellent reference when sifting through back issues. A reader, known only as The Incredible Hatboy, gave some excellent feedback on making the whole top area a little more efficient, so look for small changes there in the future. I’ve been sifting through the NPC quirks you submitted to me from Issue #37’s request. Thanks again for sending them in. Tip #8 below contains 40 of those quirks. And there’s probably another 30-40 from you which I’ll be adding to that list soon. When it’s all done I’ll let you know so you can have your own copy for reference. I’d like to add these tips into a web-based NPC personality generator tool. There’s lots of NPC generators out there, but they tend to focus on statistics and I’d like to make one that adds the personality/motivation element. I need a host to serve up .ASP pages though. Do you know of one? Otherwise, I’ll have to buckle under the pressure and finally learn PHP. If you know of a company that doesn’t charge an arm and a leg for ASP let me know. Thanks! 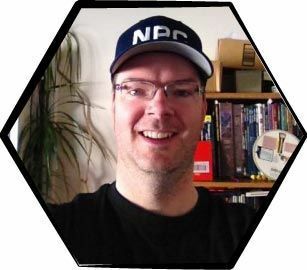 Quirks can do double-duty for your campaign, saving you time & mental energy.First, they can enhance your stories, campaign and game world by making your NPCs more 3-dimensional and interesting. That’s the standard reason for using quirks. Second, and an often under-used technique by GMs, they can serve as realistic and natural plot hooks. They are great ways to draw your players into your stories and encounters. Ask yourself how or why did the quirk develop in the NPC? What is the story behind the strange behavior? Then make the story unresolved, unfinished or open-ended so that the PCs have a chance to get involved (i.e. whatever caused the NPC’s quirk is still out there…and now the PCs have learned about it, what will they do?). For example, a barkeep at the PCs’ favorite tavern has the stuttering quirk. The first time the characters meet the barkeep you assign him that quirk and he is no longer a boring, faceless NPC. This little encounter would really entertain your players. It’s a sad story and there’s a chance that the PCs could get involved and make things right again. But, also, it reveals something new about someone the characters already know. Your game world will seem deeper and more interesting. So, figure out the how’s or why’s behind NPC quirks and use them to introduce new stories or side-adventures. You can not only use quirks as plot hooks but also as ways to enhance your existing story. Once you figure out the story behind the quirk you can use this information to tie people, events and your game world together.For example, our barkeep from tip #1 began stuttering because of a traumatic incident that happened months ago. In a flash of inspiration you decide that the barkeep speaks certain words perfectly clear and this tips the PCs off that there’s something more behind the speech impediment. They ask questions and the story comes out. And the party now has a new lead on the group of bandits they’ve already been searching for…The barkeep’s quirk and story were a great way to help the PCs and your campaign without seeming contrived or forced. Not every NPC should have a quirk. It would be difficult for you to constantly create new quirks for all of the people the PCs meet or learn about. Also, you may alter the feeling or mood of your campaign if everyone in it has strange behaviors.Every major NPC that the characters interact with should have distinct personalities. And quirks can help make personalities distinct. So, feel free to give major NPCs one or more quirks.For your minor NPCs though, sprinkle your quirks around. Many of your NPCs will seem to be normal during their brief interactions with the PCs so there’s no need to give quirks to them yet. Other NPCs have unusual quirks but actively try to hide them, so they don’t need to be given quirks right away either.As a rule of thumb, give every third or fourth minor NPC that the characters meet a quirk. Unless the PCs are going out and meeting a lot of people in a session, that ratio lets you guess how many quirks you’ll need to prepare before the game. Knowing what to prepare is often half the battle. In tip #2 we discussed how revealing the story behind a quirk can be very entertaining and adds great depth to your campaign. Using secret or intermittent quirks has the same great effect.Make it so that some quirks are only revealed when a certain event or circumstance triggers them. And some might only show up during stress, excitement or when feeling a specific emotion. Your players will be surprised and very interested when an NPC they’ve known suddenly displays a quirky behavior. A quirk is a way to make someone, or something, different and special. Do your players say “oh, it’s just another +1 dagger”? Can they use Star Trek and Star Wars to figure out all of your alien races? Do they heave heavy sighs when being delayed by boring bodyguards or another pack of kobolds?Use quirks to turn the usual into the unusual. Next time a character starts to put the new +1 dagger into the bottom of their knapsack with the others, casually mention the dagger’s strange design or unusual alloy. Make those standard bodyguards absent minded or have them constantly looking over their shoulders. And gives those humans in the kingdom next door a generally shared common trait like being neat freaks or slow talkers.These quirks will probably not affect things game rules- wise, but they sure make a difference in game play. A quirk basically translates into unusual behavior for the NPC. And it’s tempting to turn quirks into humourous and silly roleplaying events. But, constant silliness soon becomes tiresome in some campaigns, so try to make your quirks more serious in nature.For example, a person with a fear of small dogs doesn’t have to react by jumping into the arms of the nearest person and screaming hysterically. The reaction could be more serious such as running away without a word, drawing a weapon and attacking, verbally assaulting the dog’s owner, chewing his lips until they bleed, becoming quiet and unco-operative.Resist the temptation (and, it seems I am always tempted!) to turn quirks and the encounter into a comedy. After creating the fifth NPC that likes to pace and wear green hats, your limited simply of quirks are going to become boring. They will no longer make your NPCs different or special.To fix this, try to come up with a special angle or feature of the quirk before assigning it. Come up with a different aspect so that NPCs with similar quirks are not the exact same. Degree of affliction: many quirks can have ranges of effects from mild to severe. Odd link: whenever the quirk appears other strange things often happen. Coincidence? Trigger: have the quirk appear only under special circumstances and make these circumstances different for every NPC who shares the same quirk. Take the 40 quirks below, all of them submitted by Tips readers, paste them into a new Notepad page and print them out. Whenever you need a quirk while planning or during play, choose a quirk from the list, put a checkmark by it and try to give it a different angle before using it. When all the quirks have been checkmarked, make a new list or cycle through the old list again, constantly putting new aspects on the quirks as you use them. Obsessive about being perfectly clean and neat. If what’s happening isn’t about their interests or what they need, they slowly fade off into some unknown train of thought. Smooths out wrinkles in their clothing during conversations. Keeps looking over their shoulder. Keeps shifting their weapon from hand to hand. Gets angered at strange, specific things. Paranoid with EXTREMELY wide eyes. Uses the same hand gestures in conversation as they do when casting spells. Actively starts pacing whenever still for a period of time. Obsessed with a specific weapon, item, person, place or monster, often telling long, boring stories about it. Rolls their eyes when talking about other people. Gossips about other people and makes things up about others. Cannot make decisions. Asks others what to do several times before deciding. Flips hair out of the way arrogantly. Chews lips and flip-flops over decisions. Snooty. Talks with their nose up and looks down on people. Uses a dismissive hand wave (fingers pointing down with a sweeping motion). Gives belly laughs and rocks back and forth in their seat. Very nervous. Darting eyes, wringing hands, quavering voice. Speaks in a low, deep voice, pausing after every sentence to carefully choose their words. Constantly changes their gaze, making eye-contact with everyone around them again and again, in rapid succession. Near-sighted. Squints at whoever is talking to them. Is well-bred and waves their hand around in the air all the time, as though to fan away the unpleasant odor of the PCs. Has a breathy voice, like Marilyn Monroe. Uses a “signature phrase” (i.e. “Jinkies!” “By the Sons of Warvan, you shall be avenged!” “Holy rusted metal, Batman!” “Tubular!” “Make it so!” “Shards and Shells!” “By your command.”). Uses a few words of gibberish that represents phrases from their native language. Works especially well for swear words and exclamations. Uses the same vocal pause repeatedly (i.e. ummmm, er, like, and so, uh). Speaks very slowly like they are not intelligent. Speaks very slowly as if it isn’t their native tongue and they are translating things in their head. Looks boldly at the PCs with tight lips and narrowed eyes. Do you have any quirks to share? Or have any other quirk tips not mentioned here? Below you’ll find two ideas on creating stories and encounters. Statues are great for informing the PCs and setting off adventures. Want the PCs to know they’re in an area that doesn’t like magic? Have them see the statue of a local area hero/legend. The inscription:”Lord Smoot, he killed more wizards than anyone else.” Your players will get the hint. As far as adventures go, the statue could be stolen. Normally, the local authorities would find the thief, but if the statue was giant and weighed tons, it becomes obvious that the thief was not “normal” or even human! Maybe the authorities need people with superhuman/supernatural abilities. The characters? Most RPG settings lend themselves quite easily to the whole “evil twin” schtick. Have the PCs been cloned? (By magic or science?) Are the “evil twins” minions of their arch- nemesis out to ruin their reputation? They don’t have to be clones, even, just near copies. Terrorized villagers usually aren’t too picky when it comes to saving their hides. If a Lizard Man in black armor terrorized their village (the evil twin), when a Lizard Man in blue armor (the PC)shows up, he isn’t going to receive a warm welcome! The twins don’t even have to be evil. They could be from an alternate reality (check out the Nearside Project for lots of this). This alternate PC group might meet an important NPC before the PC’s do and make a bad impression, or receive payment for a job done by the PC’s!!! Alternate reality or not, who’s going to turn down free money? Obviously, if the PC’s ever catch up with their doubles, they’ll want them to go home as soon as possible. A source of endless adventures. Orc Fatale? – Sounds weird but it’s fun. Make up an NPC encounter with an orc in a city. Make him missing an eye, crippled, and a mumbler. Have him approach the PCs and ask to tell their fortune for a small sum. If the PCs pay OR don’t pay have him mumble something really prophetic then make it happen. When the PCs try to track down this fellow have him be a hard guy to find. When they find him let him tell another fortune for a beer. Have him associate with the group. After he becomes a friend then have him disappear or get killed. Use the lowly orc shaman as a plot device. Strategic Advantages – I love doing some simple things to make orc encounters strategically tough. Put the orcs into a situation where they have the better position and the element of surprise. One simple trick I did that was really effective was to put 4 orcs in a roof cubby hole of a cave that bends back over the PCs’ heads. As the PCs pass under, the orcs drop flaming oil and shoot bows. I think you said in a recent issue that someone asked you what the best way to challenge players while not killing them was. Well, the best, if time-consuming, way to do this is to test out encounters beforehand. As GM, set up the encounter on your own time, playing both the monsters and the players. Then you will know the difficulty of the battle and make necessary changes. [Johnn: when I first received this tip I thought it was great but realized I would never have the time to actually play encounters out beforehand. But, it inspired me to start thinking about my encounters in a different way and I’ve had great success. Usually, I’ll think about what the conflict will be; what villains, monsters or NPCs will be involved; what’s in it for the PCs, etc. However, thanks to David’s tip, I started trying to imagine how my encounters would be played out during the game. While this isn’t the same as actually testing it beforehand, I learned quite a lot from my mental simulations and my encounters are better for it. Try it out for yourself and see if it helps you.